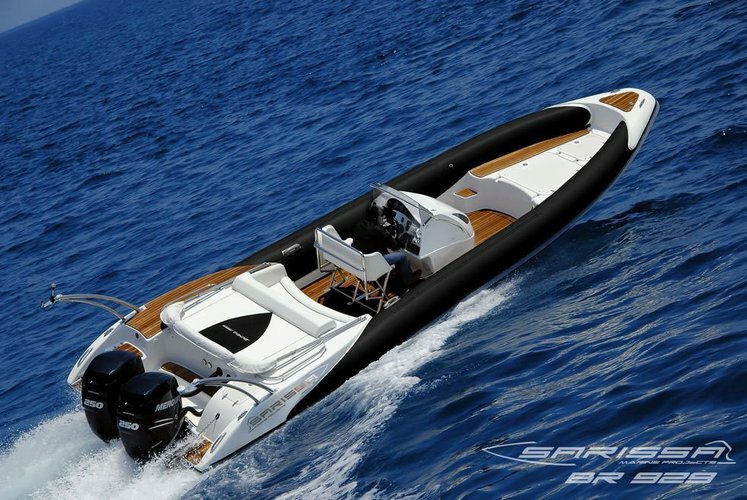 This rib offers elegance by its materials, fittings, finishes and is also a powerboat. 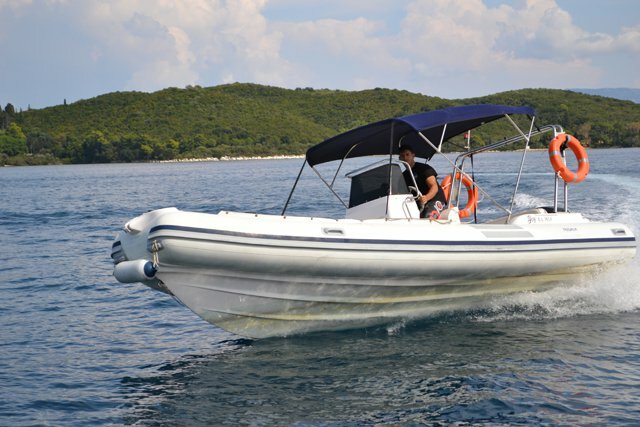 Some of the most interesting activities are fishing in the Aegean Sea when the sun rises, diving and discover the underwater paradise or sailing at speed through the Greek Islands. If you prefer an intimate and relaxing moments or have fun with friends, you can have it too. 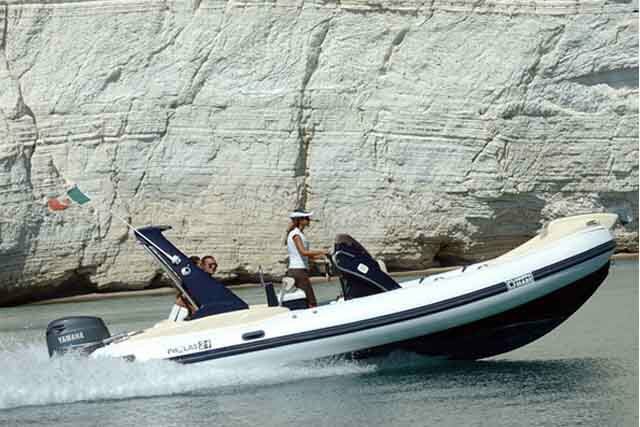 Check in and check out is arranged at our premises in Athens coast line. 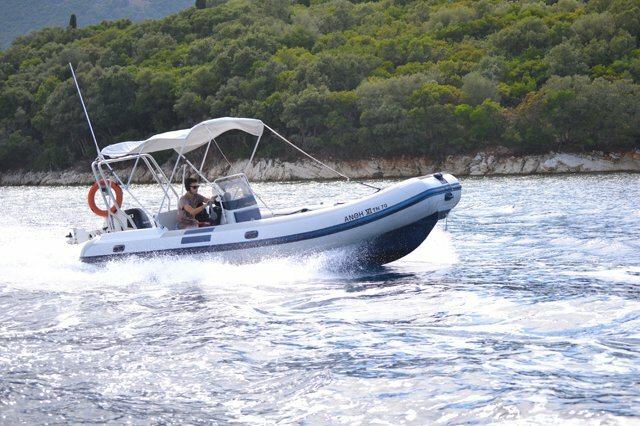 The drop off and pick up of the boat can be done at any part of Greece according to your wishes with the additional cost upon request. 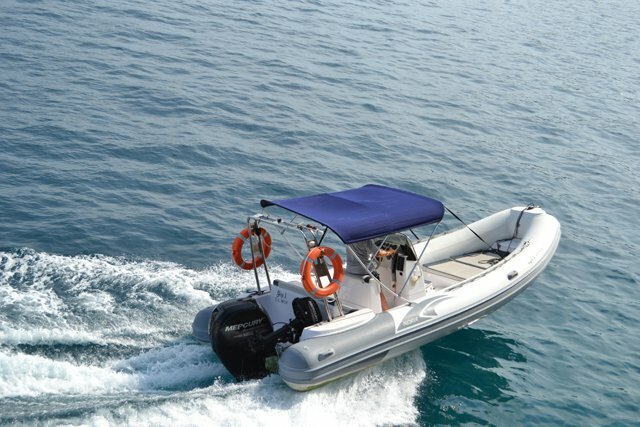 The boat is fully equipped with the obligatory life jackets and emergency flairs, appropriate engine power, secondary auxiliary safety engine, fuel tanks with reserve switch, portable fuel tank for the secondary engine, fire extinguisher, cruising instruments, compass, electronic GPS-Plotter, cruising lights and mooring lights, anchor, mooring lines, swimming platform with ladder, radio-CD player, ice-cooler fridge, cruising tent and is also delivered being fully checked, bunkered, and supplied with shower water, water and ice. * Ice supply and ice blocks are available so as to enable prolonged use of the cooler. 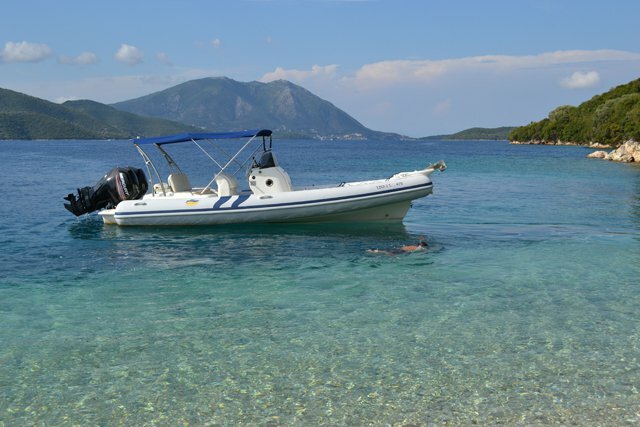 * You have to arrive at our starting point at least 15 min earlier from your rental. 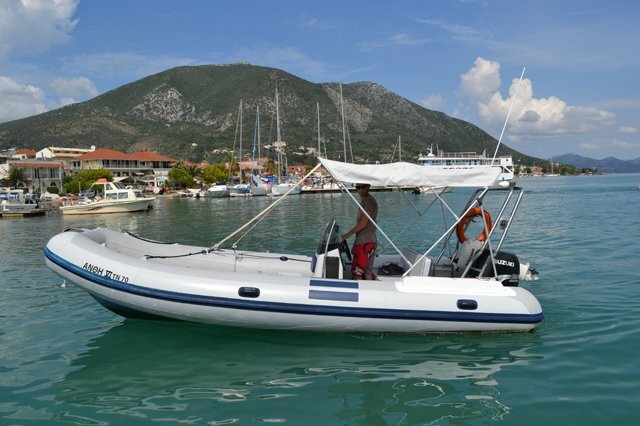 Cancellation fees remain to 100% for all cases except the cases of extreme bad weather force 7 in the starting day in our base region Saronic Gulf. * A fully charged mobile to communicate in any case (or emergency). * VAT is included in the above rates. 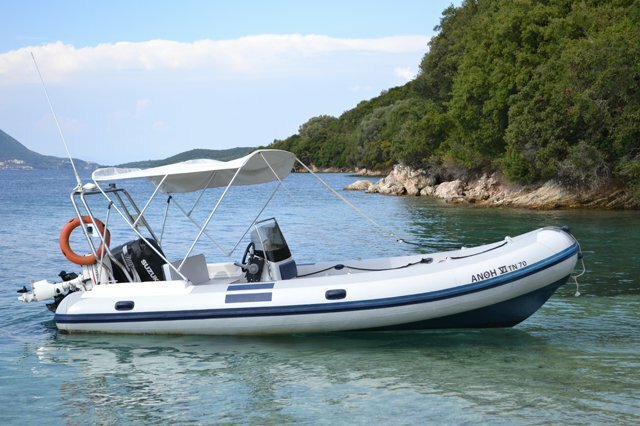 Usually this boat operates around Nydri, GR.